Social scientists in Ireland and Germany tracked 187 German politicians and their followers posting on Facebook over a 13 month period. Their study finds that politicians and their constituents don't see social media in the same light. Social scientists conduct a 13-month analysis of political discourse on Facebook. Social Observatory tool enables easy social media analysis across the domains. Social media has tremendous predictive ability and can be a font for social improvement. It’s easy to think of social media as a looking glass. But how accurate is its reflection? That’s the question researchers from the Karlsruhe Institute of Technology (KIT) and the National College of Ireland set out to answer. 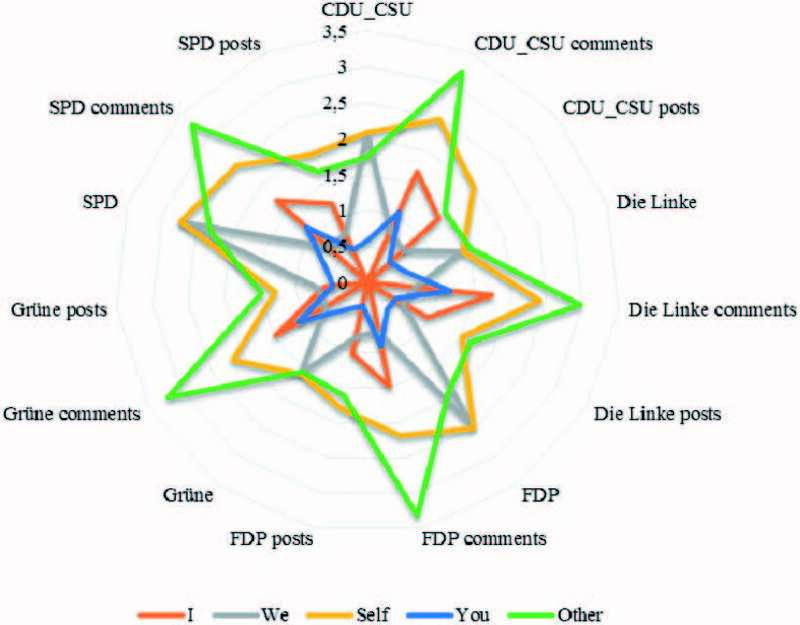 Parsing German political Facebook data through KIT supercomputers has allowed them to peer through the mirror to find how electioneering has changed in our era. 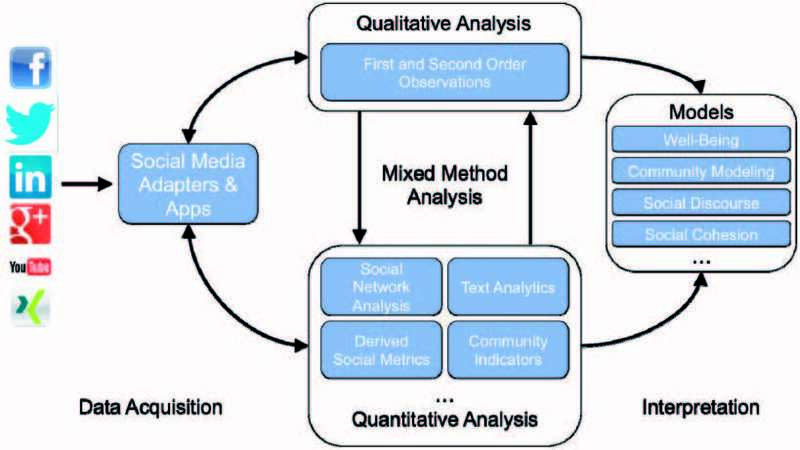 To create a formal Social Observatory like the US National Science Foundation-funded Social Observatories Coordinating Network, Simon Caton of the National College of Ireland and Margeret Hall and Christof Weinhardt of Karlsruhe Service Research Institute at KIT sought an intact and representative online community ripe for investigation. They found 187 German politicians and their followers posting on Facebook in the run-up to the 2013 elections. They looked to Linguistic Inquiry and Word Count, a program to help them analyze the sentiments, styles of thought, and social concerns in a year’s worth of Facebook interactions. Using the computer cluster at KIT, Hall and colleagues analyzed 54,655 posts and 231,147 comments by 257,305 users, generating about 1.5 TB over 13 months. Hall’s team was in for other surprises as well. German political discourse, they found, was polite yet hierarchical. Politicians preferred to use formal diction and plural forms of speech, seeking instead to differentiate themselves and appear above the fray. The politicians also rarely engaged with other politicians in their own party, and were observed consistently talking past their constituents. “Politicians are really trying to use Facebook as an advertising platform, but constituents, however, understand Facebook as another way to talk with their politicians,” says Hall. Hall sees Social Observatory having a much broader applicability than political science, such as in business intelligence use cases. One of Hall’s students was able to spot a hidden connection in the networks of cloud providers on Facebook that was not established in Google. Using Social Observatory, they were able to determine there was a merger effort between the two. Perhaps the most eye-opening insight Hall’s recently published study offers is not what social media is but what it is not. Social media is less of a reflection and more of a reconstruction of our world online. What we find there is the world we long to be a part of, and we represent ourselves there as we wish to be seen by that world. Despite the lack of scholarship telling us how incessant, omnipresent social media is affecting our attention and social psychology, Hall sees social media as a positive development in our social evolution. “You can predict riots with social media. You can predict economic crises. We can tell our policymakers and bosses how to do better. There are so many good things that we can get out of this, so many ways that we can help improve society. The challenge to the social scientist is to somehow tease that out of all the cat videos."